Check out the exclusive first looks of three characters Nikhil Advani’s D-Day, starring Rishi Kapoor, Arjun Rampal, Shruti Haasan & Huma Qureshi in the lead. Produced by DAR Motion Pictures Pvt Ltd and EMMAY Entertainment Pvt Ltd, D-Day is slated to release on 19th July, 2013. 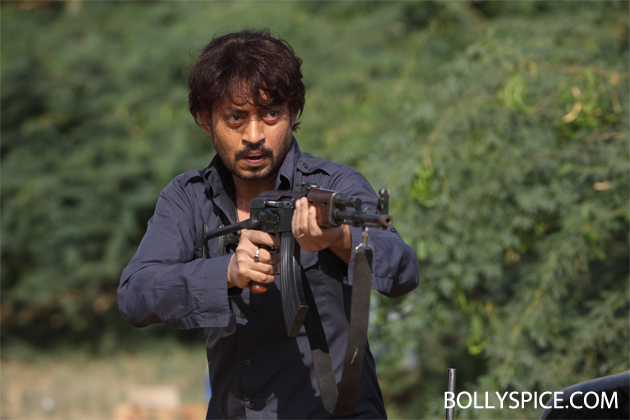 Irrfan Khan’s character name is Wali Khan. Huma plays the role of Zoya Rehman in the film. Shruti’s name in the movie is Suraiya.